It’s simple to import your existing contact lists and once that’s done, all new signups, unsubscribes and bounces are handled automatically. The signup process is completely customisable and we can add signup forms and bespoke landing pages to your site. 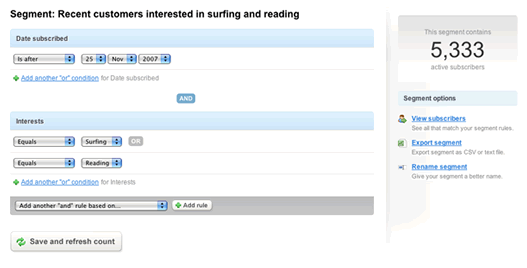 You can create as many lists of subscribers as you like and you can segment them to personalise campaigns.